The image technology LIDAR/LADAR (Light/Laser Detection and Ranging) has become a benchmark as an advanced instrument for measuring significant distances and situations with no need for contact. It can be used to obtain 3D images in real-time. In the pulse version, this is achieved by a laser pulse, from which the time to and from the object in question is detected. This measurement is converted into an image through a scanning or detector array system. The 3D images are obtained without any need for subsequent calculation (as in stereoscopic images) and are very useful in fields as apparently unconnected as geology, atmosphere physics and topography. Recently, their use has been extended to applications in robotics, security and defence, open-pit mining inspection or the circulation of all kinds of autonomous vehicles, to give some examples. 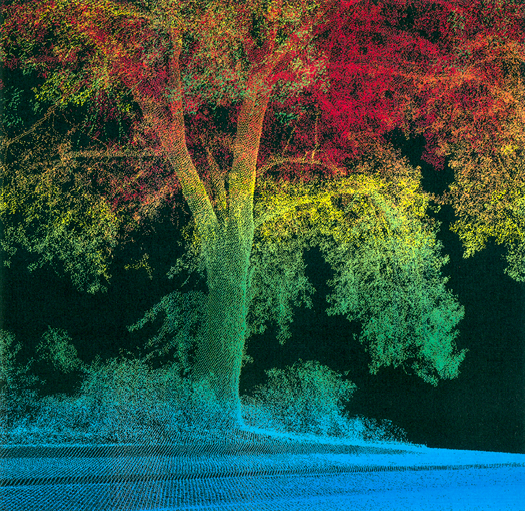 Some of the challenges in the improvement of this technology include the use of increasingly compact cameras and feature enhancement to make it possible to use LIDAR/LADAR in full sunshine or adverse conditions of fog or rain. Limitations are the use of moving parts, the high sampling point density required to obtain the image, and the difficulty in obtaining sufficient information flow to acquire a real-time video with suitable spatial resolution. Therefore, this is a developing field that is directly related to the evolution of the state-of-the-art of systems and components. Companies that market the technology and those involved in the design, construction, sale and maintenance of the equipment are working to obtain more robust, efficient, economic systems. 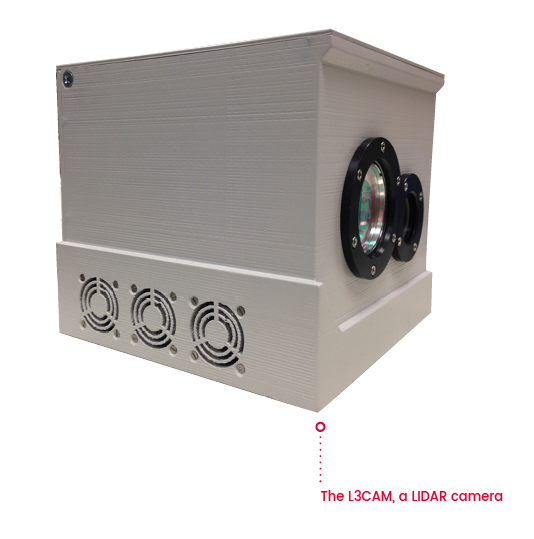 Based on research carried out by the Centre for Sensors, Instruments and Systems Development (CD6 UPC) on optical metrology, in June 2016, Beamagine was created: a company specialized in the development of LIDAR technology to meet all the above challenges. Jordi Riu Gras, a CD6 UPC researcher, amb myself were the founding members. Beamagine has developed a LIDAR camera that offers superior technical features to those found on the market, particularly in terms of spatial resolution, the use of solid state components only, and operation over long distances in daylight conditions (up to 100 m) using technology that is currently protected by six international patents. All these aspects together mean that the camera can be used in new applications and markets in which the technology was not present. The camera is designed to obtain an image even under complex climatic conditions and it does not include any moving parts. Consequently, it is very reliable and does not need to be recalibrated. It is not affected by environments with vibrations and hardly needs any maintenance. Finally, its size means that it can easily be incorporated into any part of the vehicle. All these advantages make it posible to consider new applications: vehicle navigation, accident prevention, advanced surveillance, obstacle detection and monitoring, and development of unmanned aerial vehicles, among others. Currently, collaboration is underway to supply the automobile sector, and it is forecast that the technology will enter new markets such as aeronautics, robotics, logistics and rail, among others. This is not the first case of a spin off arising from collaboration between young entrepreneurs and the CD6 UPC. In little more than ten years, over a dozen companies of this type have been created. The impetus to set them up came from technology developed at the Centre, which has the experience and teams required to carry out research leading to the first prototypes in a favourable environment, with the backing of the university. This entry was posted in Sin categoría on 3 May, 2018 by www-citupc.